Lviv (also spelled L'viv and Львів; Polish: Lwów, German: Lemberg; also known as Lvov) is today in Western Ukraine and used to be the Capital of East Galicia. The biggest city of the region and major Ukrainian cultural center, the city center (Old Town) is on the UNESCO World Heritage List. Founded in 1256 by King Daniel of Galicia it fell under Polish control in the 14th century. Poles, Jews, Ukrainians, Germans and others lived there together for centuries. The Polish king John II Casimir founded the Lviv University in the 17th century. In 1772 the city was annexed by the Habsburgs and was known as Lemberg, the capital of Galicia. After the dissolution of the Austro-Hungarian Empire in 1918, it was returned to Poland. With the Ukrainian independence in 1991, the name was officially changed to Lviv (Львів). 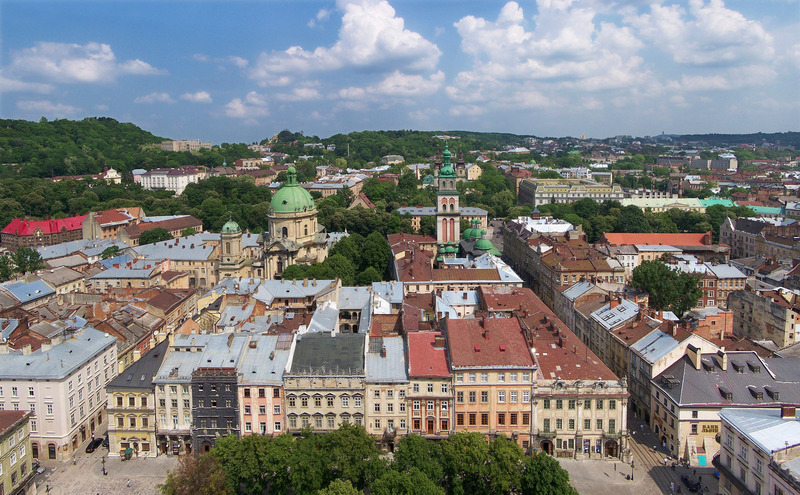 Because of its Polish and Austro-Hungarian history, Lviv has a Central European flair in its architecture that makes it one of the most beautiful cities in Eastern Europe.